For this explosive activity, you'll definitely want to keep cleaning materials nearby in case of a mess. Working over an activity tray will go a long way in keeping any messes contained. 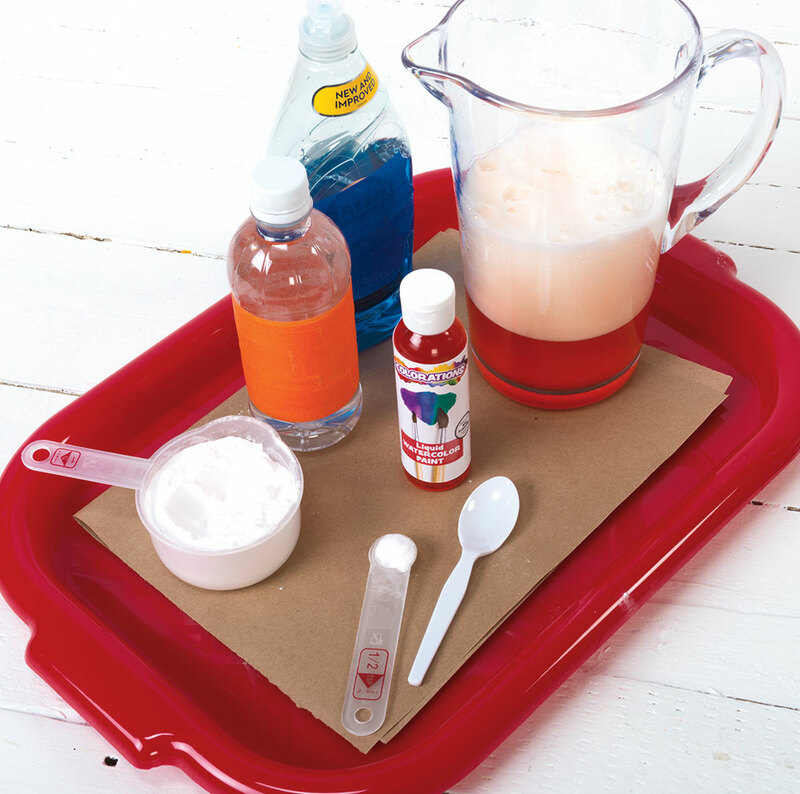 For this activity, you'll need to gather the following materials: baking soda, Liquid Watercolor® or food coloring, dish soap, vinegar, a glass jar, small plastic containers, a tray with a lip around the edge and heavy art paper. Place a piece of art paper in a tray. Fill a jar halfway with vinegar and add a few drops of Liquid Watercolor. Squeeze in some dish soap and mix again. Place the jar onto the paper in the tray. Then, have a child place a teaspoon of baking soda into the jar and stir the mixture together. Stand back and watch the eruption! 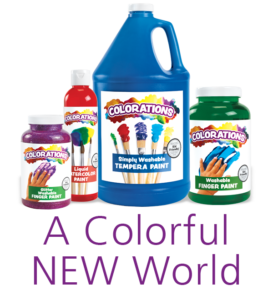 As the flow begins to slow down, you may add another color of Liquid Watercolor and little more baking soda for another colorful eruption. Remove the paper from the tray, pour the foam off the paper and allow the paper to dry. Have the children use the paper as the background for a picture or to cut up into pieces for a collage. The eruption of the mixture in the jar is similar to the eruption that occurs with volcanoes. Instead of the foamy vinegar, soap and baking soda, volcanic eruptions can produce lava, steam, ash and dangerous gasses. While they are remarkable, you wouldn't want to be near one when it erupts! The colorful paper produced can make a remarkable source for collage art pieces. Cut the paper into small pieces to create unique mosaic or collage artworks as a reminder that beautiful art can come from powerful forces of nature.